This is not, by any means a comprehensive look at the differences between KDE Plasma and Unity Gnome, but it should give new users a small taste of the two desktop environments’ different strengths and weaknesses and their philosophical approaches to usability. The focus is particularly on Ubuntu and Kubuntu, but aspects of this comparison can apply to other Linux distributions as well. Since this is not a comprehensive look at the differences between KDE and the various versions of Gnome (Gnome 2, Gnome 3, Unity), you should just pick one arbitrarily based on what’s presented here… or you should just try both and see which one you like better. 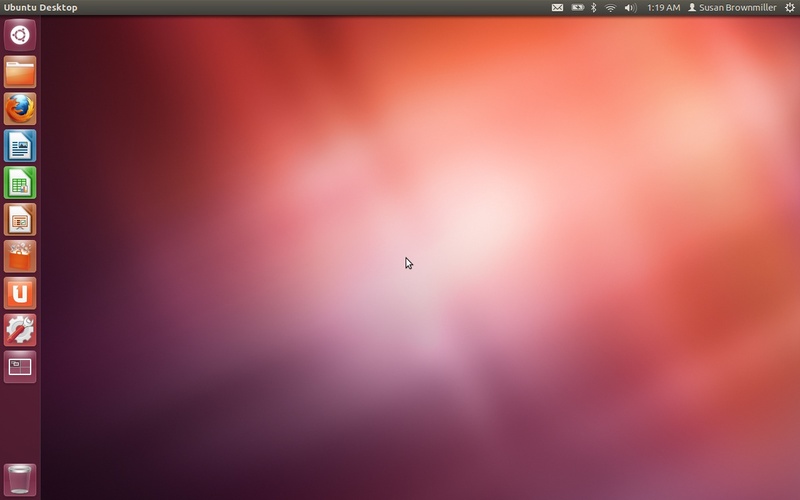 The screenshots of this are from Ubuntu and Kubuntu 12.04. 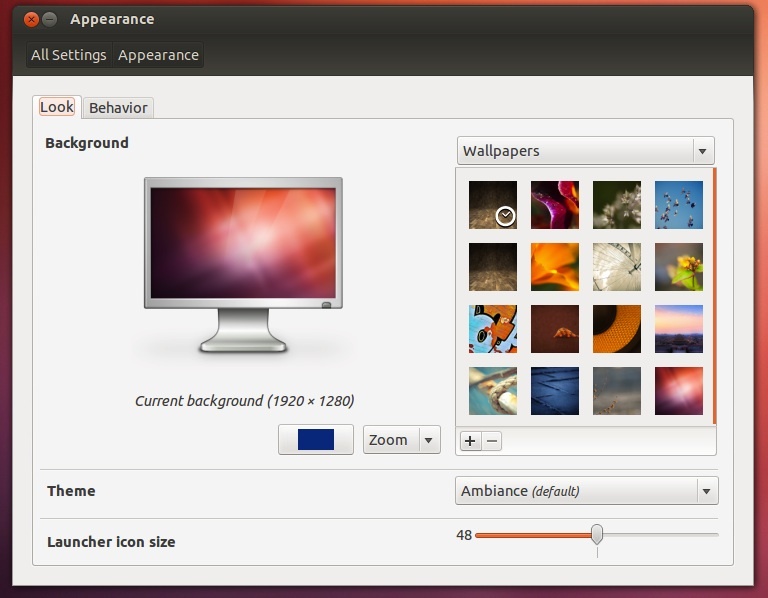 Later versions of Ubuntu and Kubuntu may change slightly in appearance or behavior, but a lot of the general principles will likely remain the same. For advanced Linux users, who are not really the target audience for this page anyway: I don’t want to go into the details about the differences between Gnome 2, Gnome 3, and Unity. Unity is a type of Gnome, and for new users of Ubuntu who have very little Linux experience, adding in more details just confuses them. Please do not tell me Unity is not Gnome. For a new-to-Linux audience, this comparison will still help people orient themselves to basic differences between Gnome and KDE, particularly as pertains to choosing between Ubuntu and Kubuntu. Most of the comparisons are beyond the background interface anyway (the file manager in Unity, for example is still Nautilus). 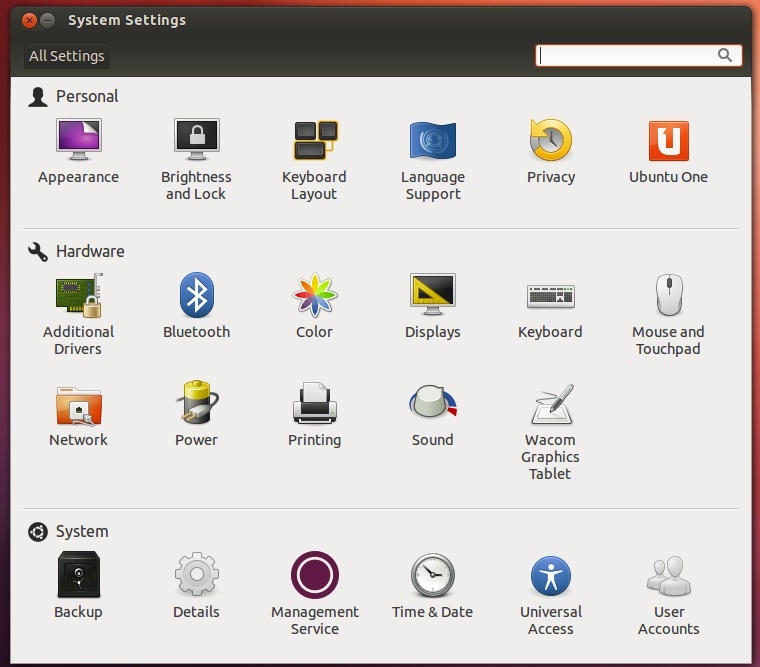 When you look at the default setup of Unity Gnome and KDE Plasma in Ubuntu, their differences are mainly cosmetic. 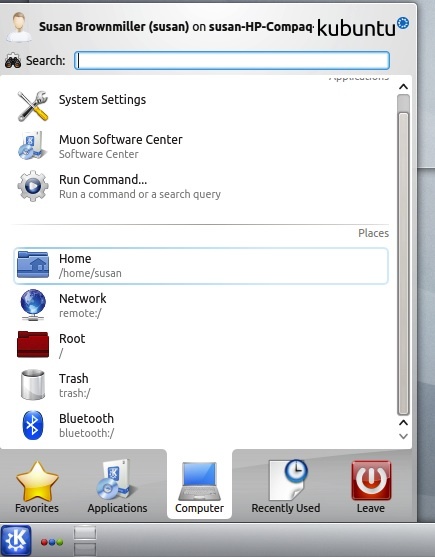 KDE by default (this can be changed) favors blue and grey, has one toolbar at the bottom of the screen, and has one main menu. Gnome by default (this can also be changed) favors dark grey and purple, has a toolbar at the top and then a pop-out dock (when you hover over it with your mouse) on the left with some large icons. You should not select your desktop environment based on its default color. Gnome can just as easily favor blue, and KDE can be made to be orange. Both can be any color you want. In KDE, there is Kickoff (what used to be called the KMenu), through which you access all programs. There are some quick-access shortcuts and then options to go through Applications and a bunch of submenus to find what you’re looking for. 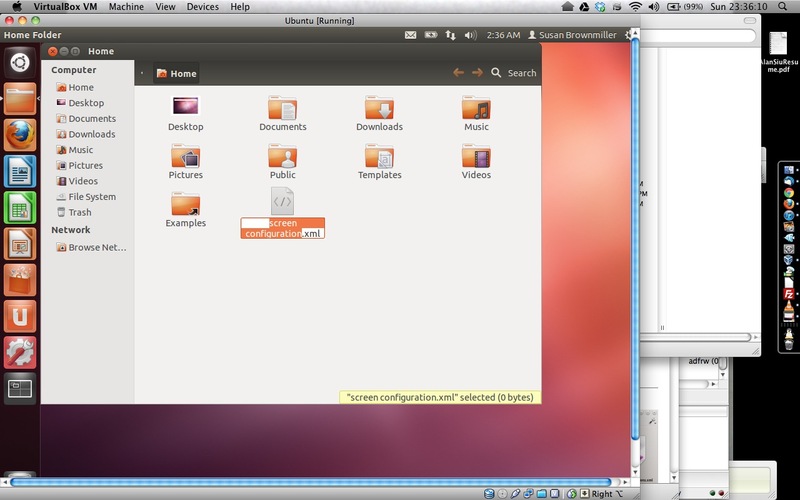 Beginning in Ubuntu 11.04 and continuing in 11.10 and 12.04, Gnome doesn’t have menus for navigating through applications. Instead, you click the main button (or press the Windows/Super key) and just start typing what you’re looking for. In both KDE and Gnome, you rename a file (just as you would in Windows) with the F2 key. The renaming happens in a pop-up window, which you can confirm or cancel when you’re done. KDE also defaults to a single-click instead of double-click for opening files. So if you stick with the single-click, you’ll have to hold down Control while selecting the file so that you just select the file and don’t open it. 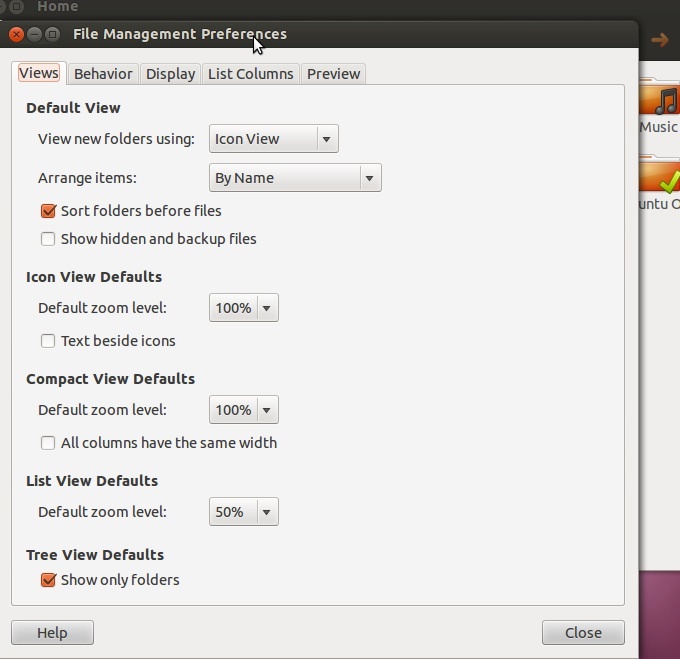 In Gnome, renaming a file also focuses on the main file name, but it does so inline and not with a pop-up window. KDE has a reputation for having confusing menus and options. I tend to think of it as just a different approach. In the file browser preferences, for example, you see six main options and then a lot of minor options in each submenu. In Gnome’s file browser preferences, you see five tabs with a bunch of options underneath each one. Even though there are more options in Gnome in this case, many Gnome advocates consider Gnome simpler and less confusing. Again, I think of it as just two different approaches and a matter of preference. 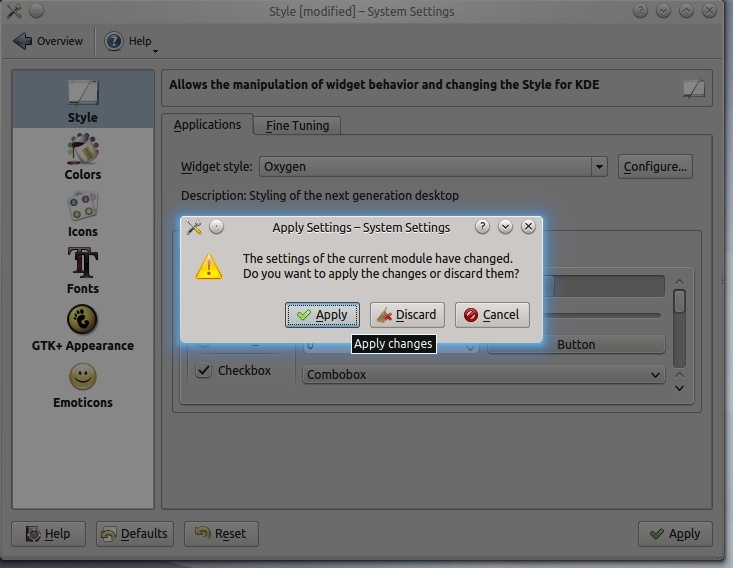 KDE has a System Settings central location for configuring system preferences. This can be accessed through Kickoff. And, despite KDE’s reputation for being more Windows-like than Gnome, you can see the layout here is actually quite similar to Mac OS X’s System Preferences window. 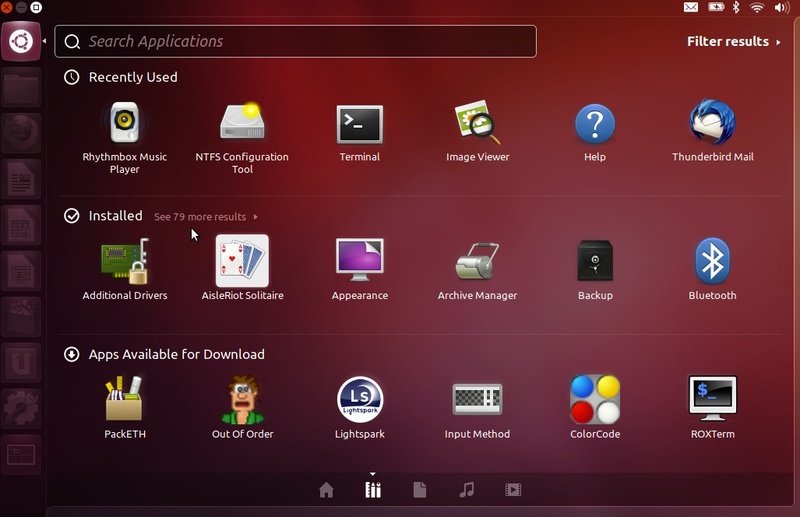 Ubuntu’s Gnome has also recently adopted an OS X–like System Settings window. Unlike the KDE one, which is sprawled all over the place, the new Gnome one seems evenly spaced and less cluttered. While I do sometimes defend KDE against its reputation for being complicated, there are other times I have to admit the reputation is well-earned. 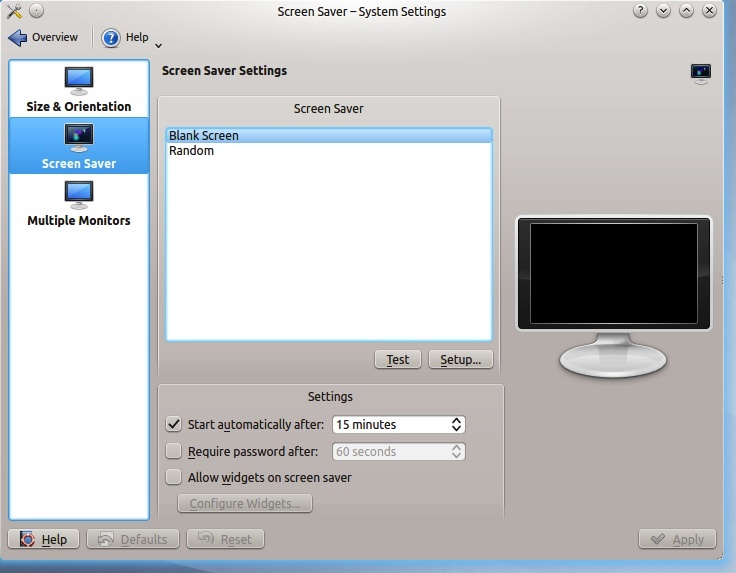 Take a look at this dialogue for configuring screens. Considering how much screen space the submenu takes up, it seems weird to divvy it up into three subsections. And this is an example of how Gnome has earned a reputation for being simple. In KDE, usually when you make a change, you have to click Apply or Save to get the changes to stick. This again is part of how it’s earned its reputation for being more Windows-like. 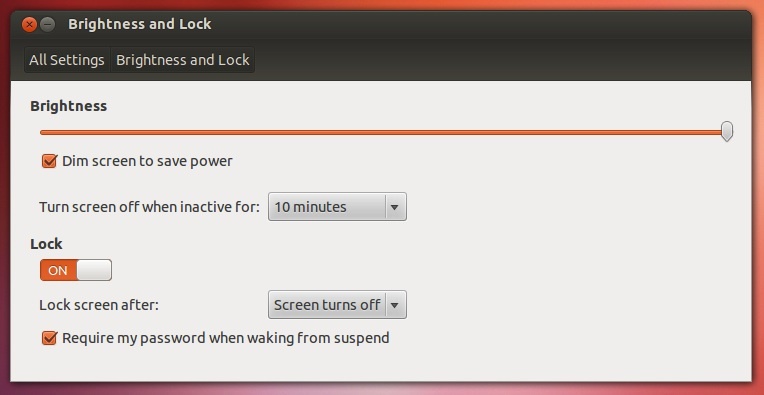 In Gnome, changes usually take effect as you are choosing the new option. Yeah, it’s a random option, but it’s a popular one. Once again, I usually defend KDE, but in this case, I can’t make much sense out of the configuration options for panels. 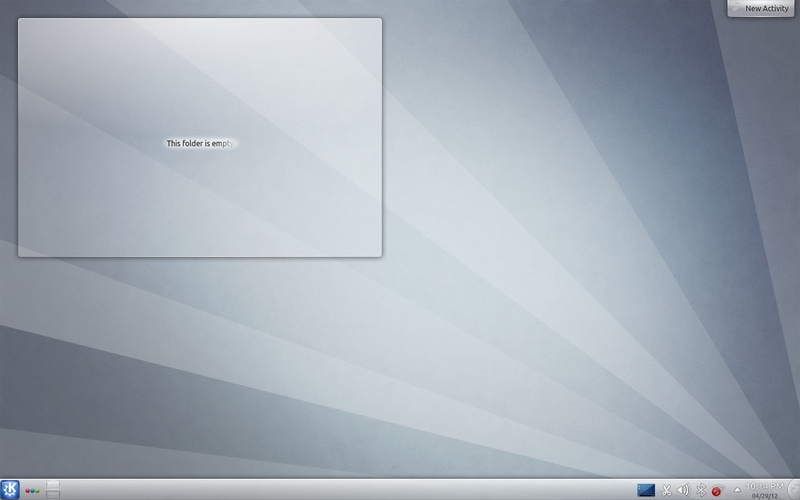 It used to be so simple (in older versions of KDE) to change it so the panel was on the top instead of the bottom. It is now mysteriously called screen edge. Of course, now I can’t defend Gnome either, since with the new Unity interface, you can’t really customize the panel at all. Right-clicking does all of nothing. There doesn’t seem to be an easy way to move the toolbar or change which widgets are on it. Gnome 2 and Gnome 3, fortunately, have a bit more configuration options. In KDE, if you want to exit, you click on Kickoff and select Leave and then the next option. After you decide to shutdown, then you confirm you want to shut down. 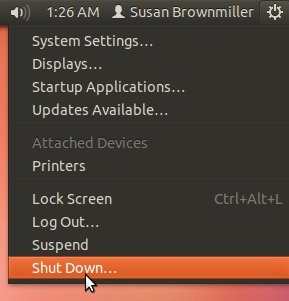 In Gnome, there’s a little icon to click to get the shutdown option. You click it, and you also confirm you want to shut down. 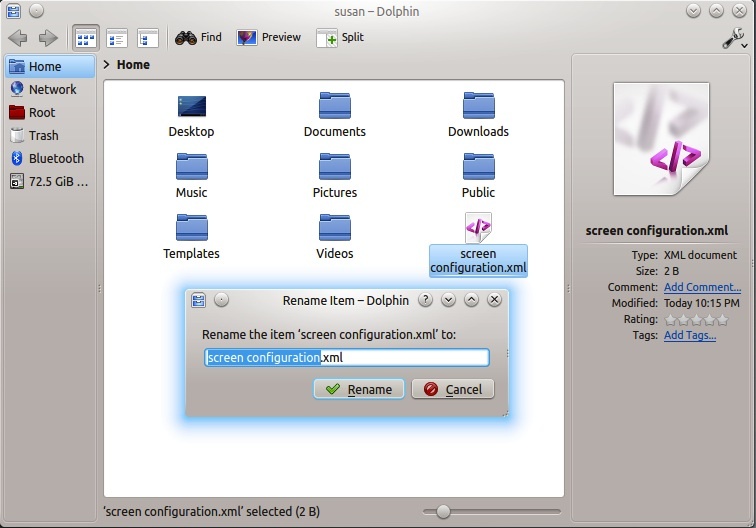 Generally, KDE focuses on offering as many features as possible with as many graphical ways as possible for configuring those features. 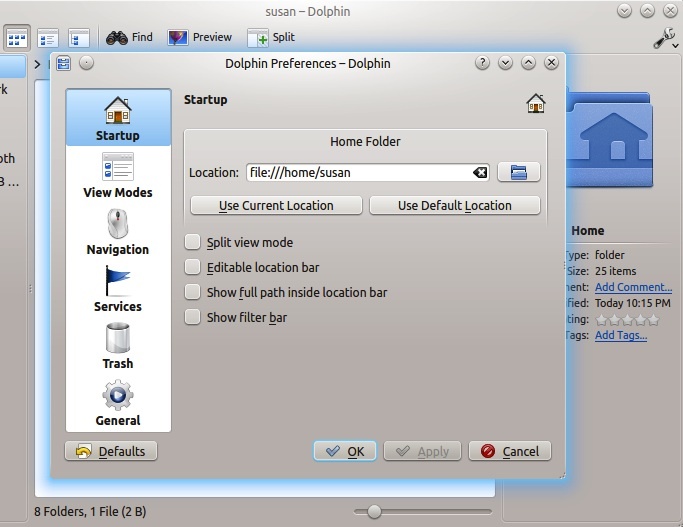 Fans of KDE highlight the functionality it has. 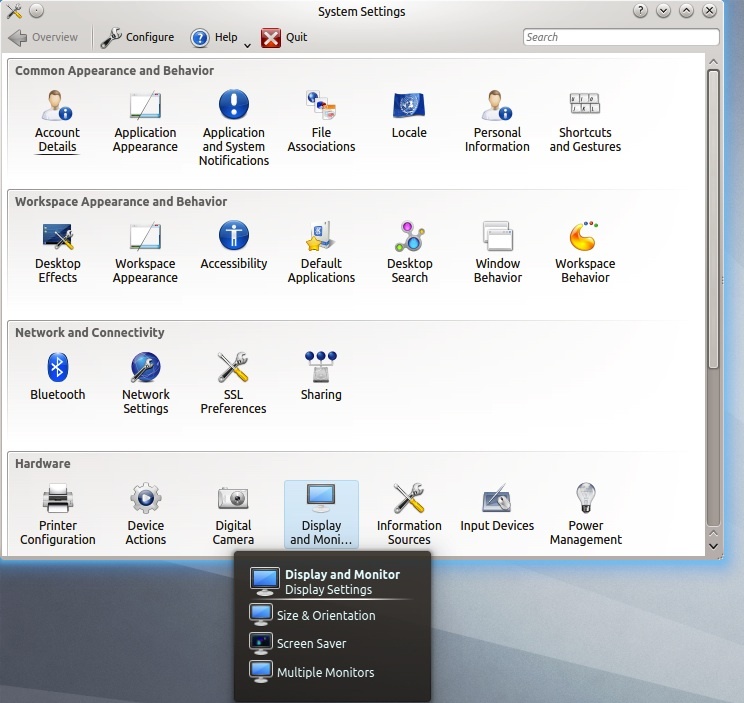 Critics of KDE say the menus are too confusing. Gnome, on the other hand, opts for simplicity and often hides certain configurations in order to achieve that simplicity. Fans of Gnome think the simplicity of Gnome offers a cleanliness that allows the user to get stuff done. Critics of Gnome think it just lacks certain functionality. Once again, this comparison touches on only the surface of the differences and similarities between Gnome and KDE. As you can see, both offer more or less the same functionality. It’s up to you to pick the desktop environment that works for you. You may have glanced at this page and thought, “Well, gee, the differences look very cosmetic. I don’t know which one to pick.” The good news, though, is that you don’t have to pick. You can have both installed together and switch back and forth whenever you feel like it.